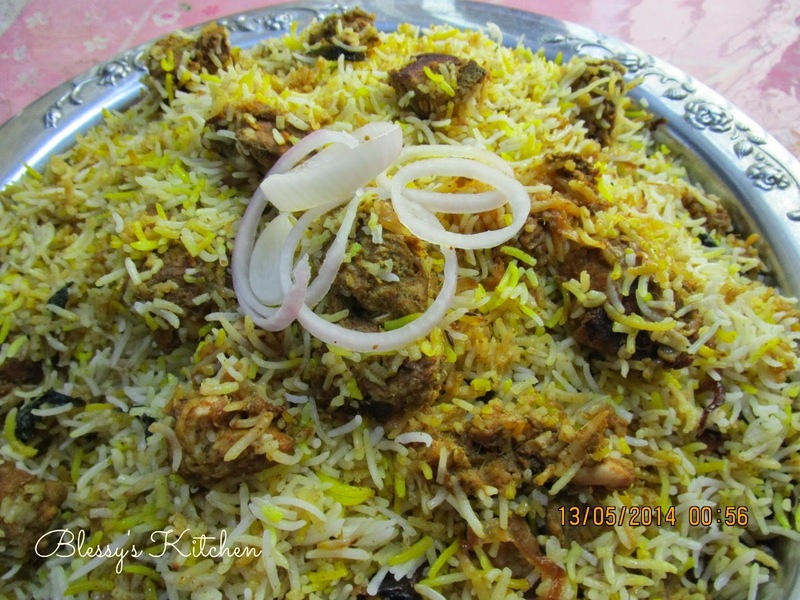 Biryani is a rice based dish mostly with aromatic basmati rice cooked with meat or vegetables and spices. 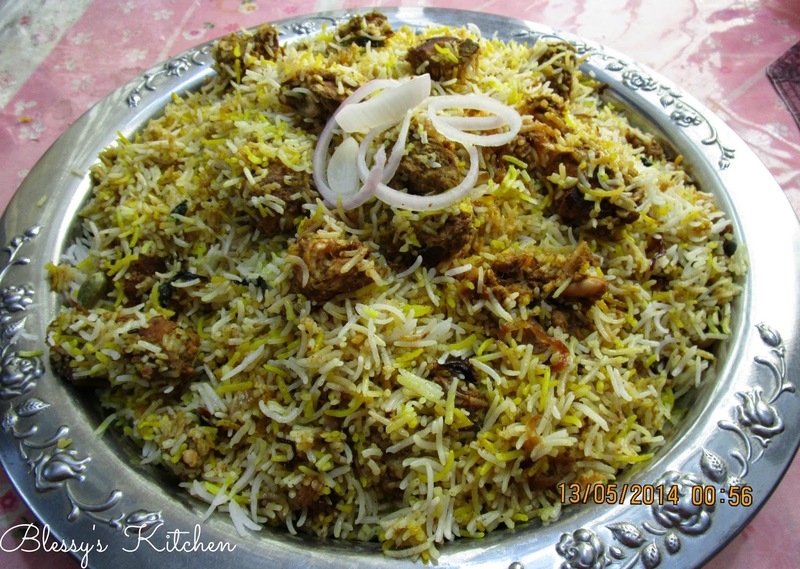 Biryani is originated in Persia and was brought to South Asia by the travellers and merchants to the Mughal Empire. 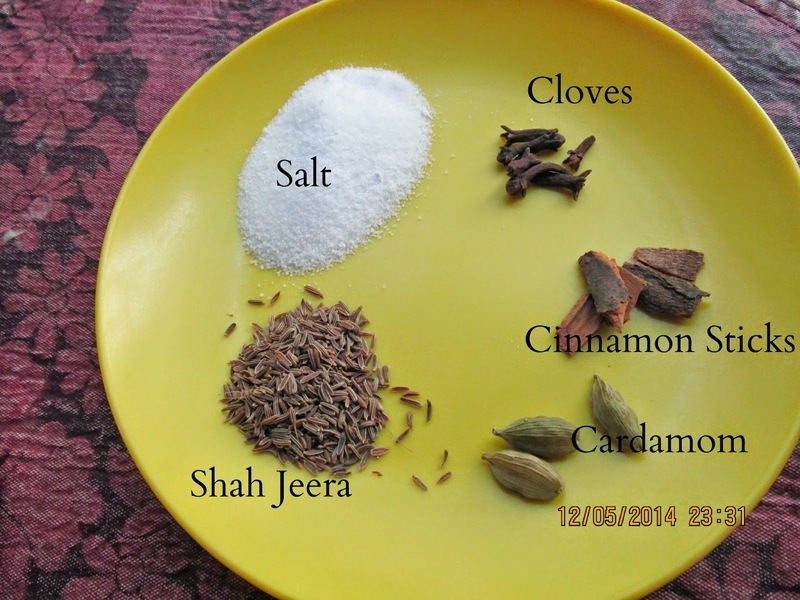 It is the most popular dish in Mughal's Kitchen. 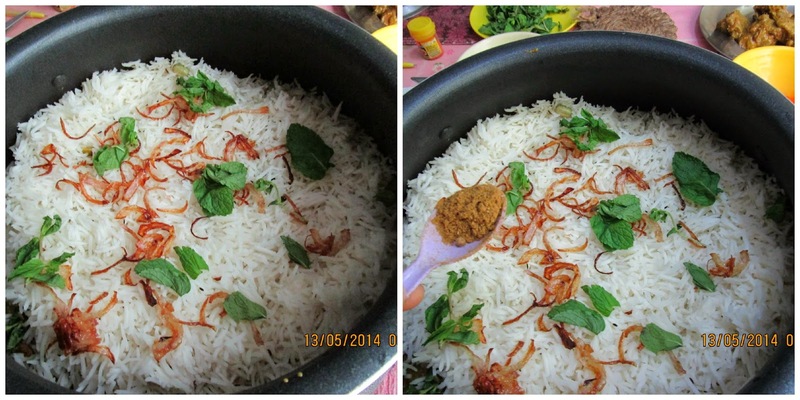 As you can see I've mentioned "Kacchi Biryani Style" which means Cooking rice with "Raw Meat". Its fully packed with flavours .Today, you may not belong to Mughal's Tribe but you can definely enjoy Mughal's staple food "Biryani". 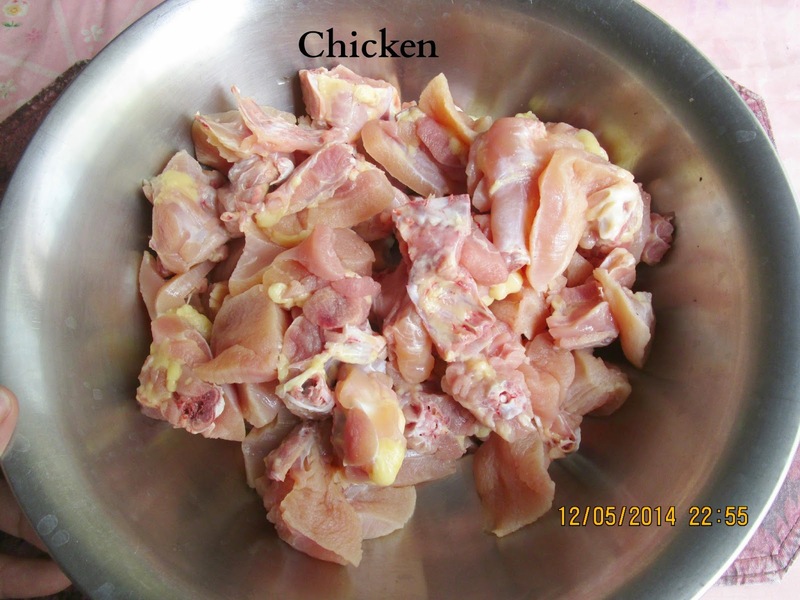 So lets start making Chicken Biryani!! 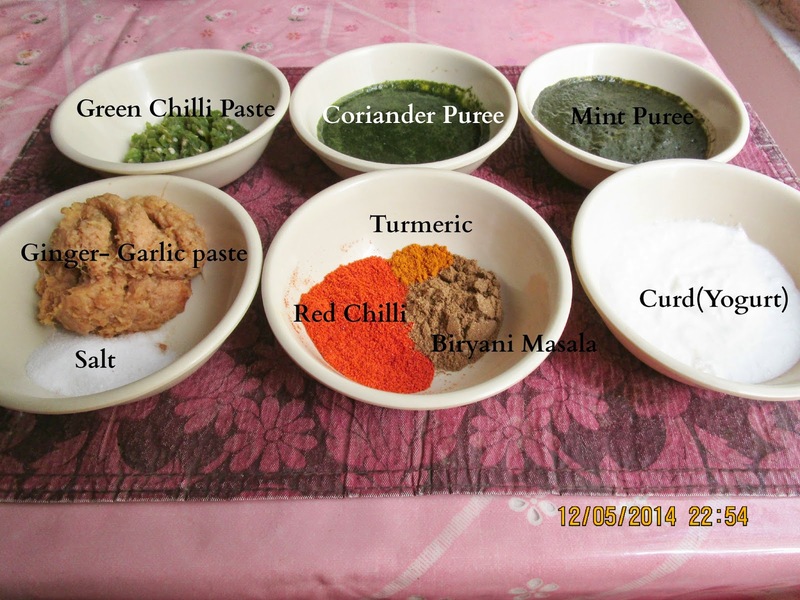 To make Biryani I have divided the recipe into 3 parts for easy understanding. First part is about marination of the Chicken. 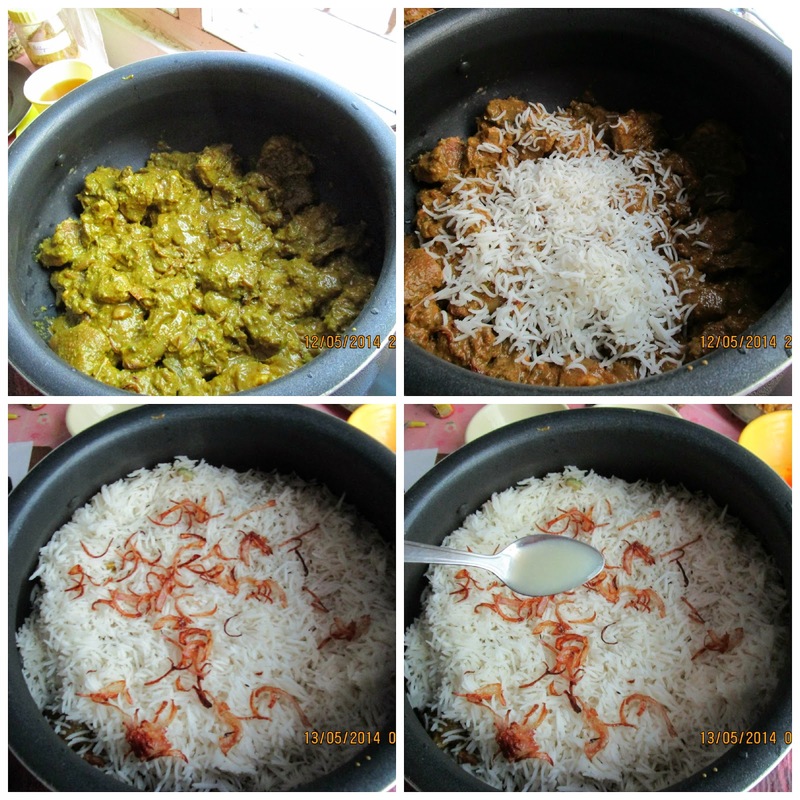 Second Part is about Cooking basmati rice. Third part is about layering the rice simultaneously infusing it with extra flavours. ***Add only half part of the fried onions to the chicken marinade. *** Here in the Picture I used only 3 Tablespoons of curd. 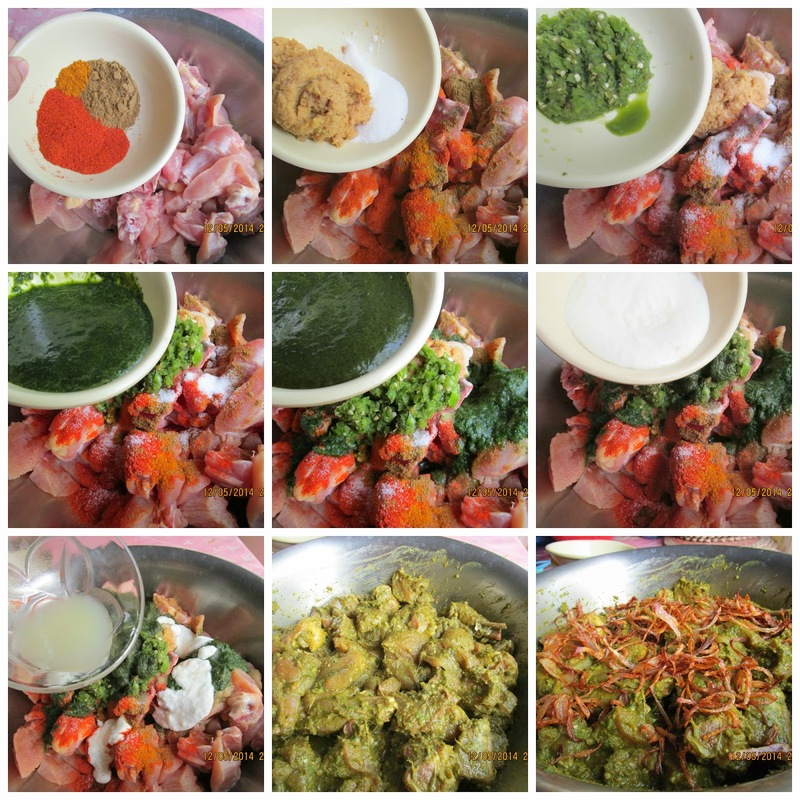 Later I added 7 Tablespoons which has given me good consistency of the marinade. 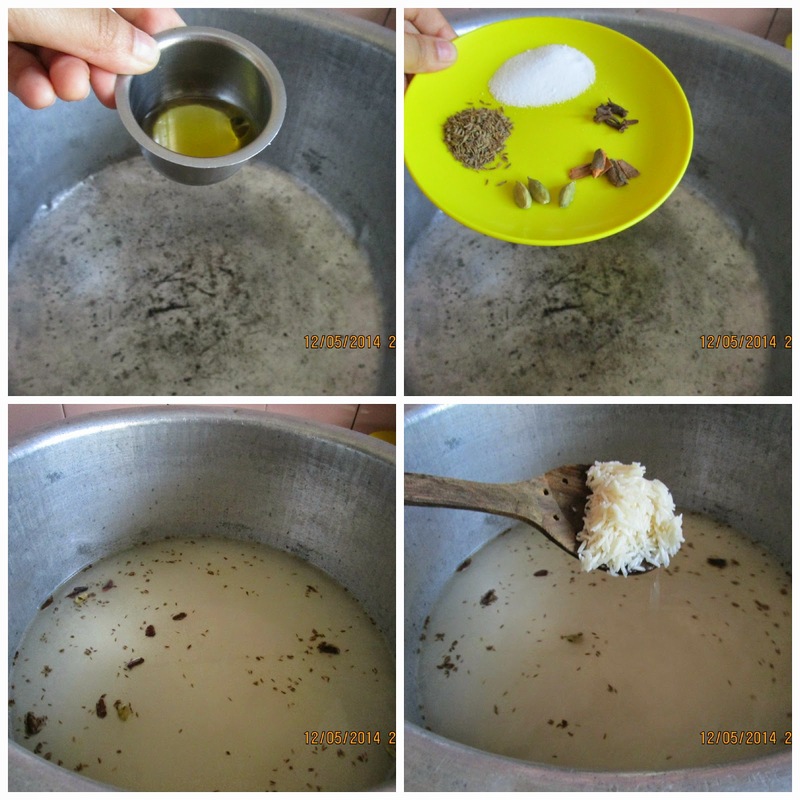 Next, take a big rice pot and add oil to it. To the hot oil add all the spices including the salt. 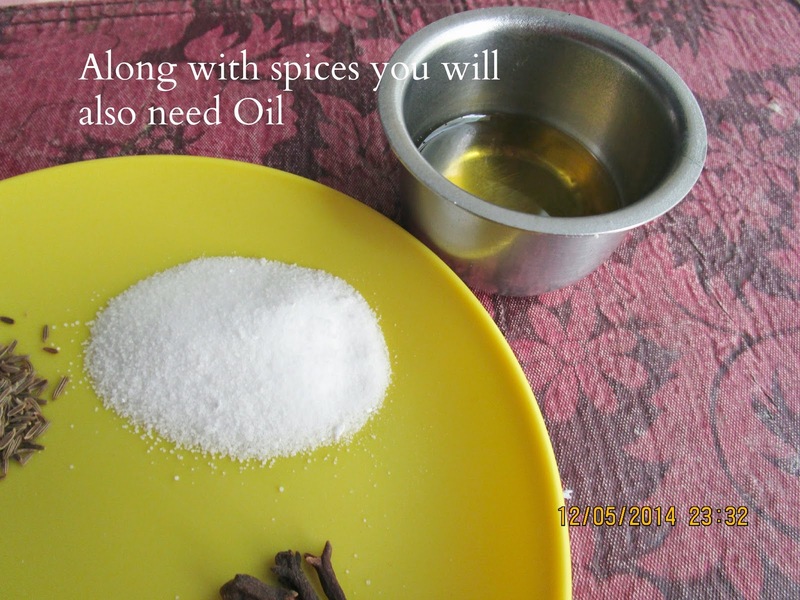 Let the spices splutter for few seconds and add the soaked rice(with the water) to cook the rice partially. Strain the rice using a colander and the second part is done!! ***Water should be salty so that when rice gets half cooked it gets good flavour from spices and gains taste value from salt. 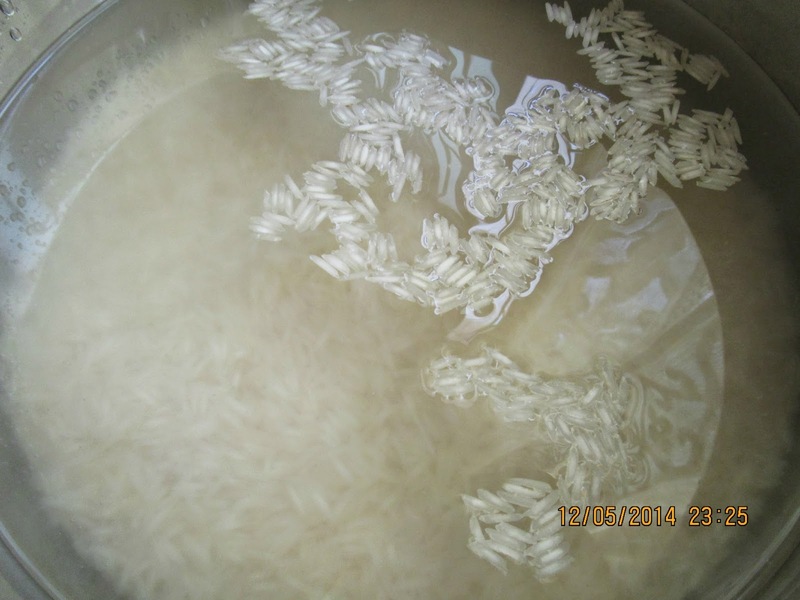 ***Water quantity is not measured in this case because we are straining the rice in the end. So basically you need to add more quantity of water than the rice. Firstly mix 2 to 3 Table spoons of water to the yellow food colouring. 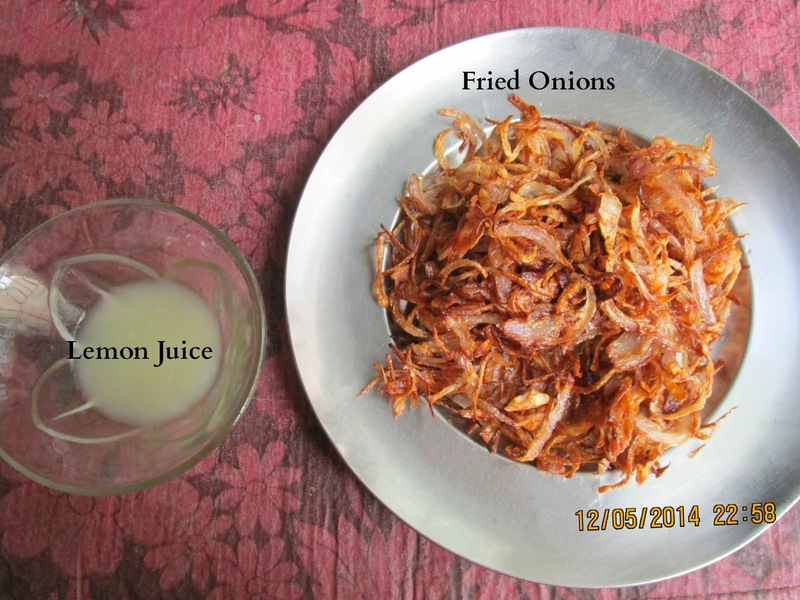 Next add mint leaves,fried onions, sprinkle biryani masala, spoon the lemon juice and again layer it with the rice. Continue this process until the rice ends up. 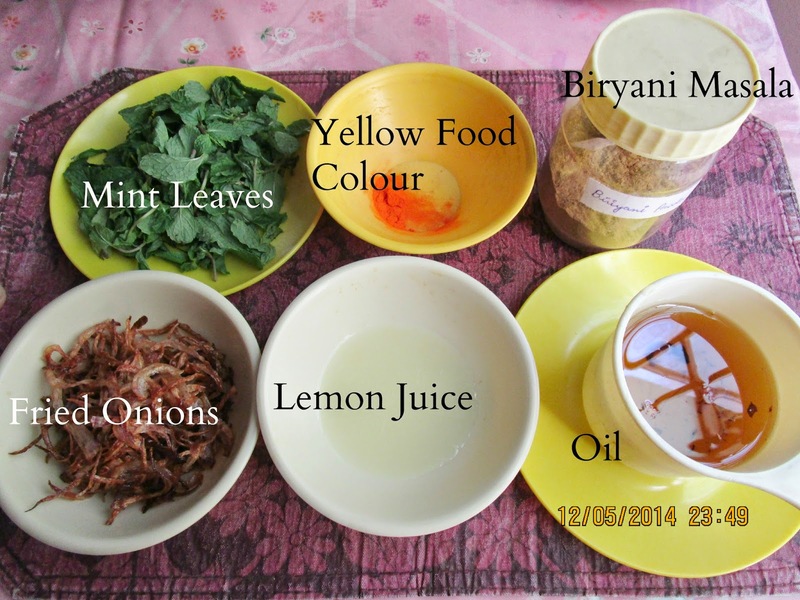 To the last -final layer of rice add mint, onions, lemon juice, biryani masala , oil and food colouring. 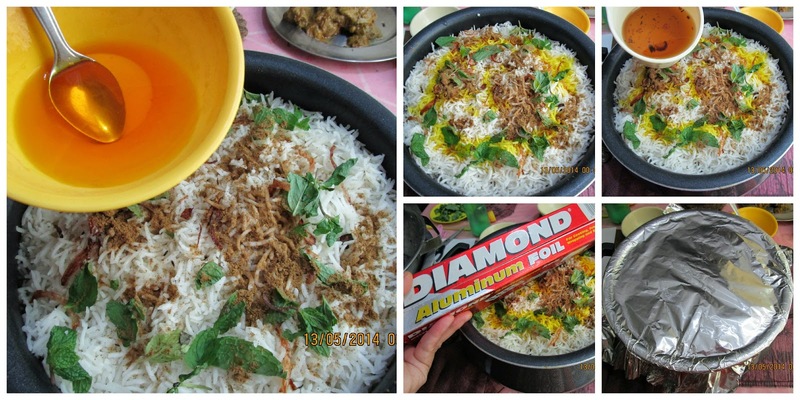 Cover it with aluminium foil and lid and cook the biryani on high flame for 15 minutes. By this time you should be getting steam from the sides of the lid. Now take a tawa and place it beneath the rice pot, lower the flame and cook it for another 15 minutes.